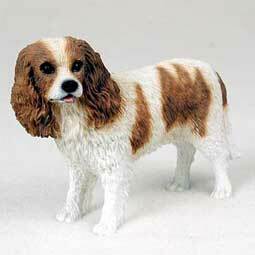 At the Animal Figurine Store.com, we have several AKC dog breeds in many of their different variations from color to hair-cut style. But the Animal Figurine Store doesn’t have them all. There are hundreds of variations and it just isn’t cost effective for a manufacturer to make them all. However, there is a good alternative. Have a replica of your pet made by a pet artist. One such artist is Sondra Alexander. Having a custom-made artistic rendition of your dog may be a bit more expensive than a figurine at the Animal Figurine Store.com, but if you want a quality memento of your beloved pet, this is the way to go. Sondra’s work is fantastic. The replicas of the pets she has done have a remarkable likeness. She uses ceramic tile and builds it into a three-dimensional art form. 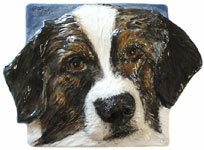 Have her make one tile for your personal keepsake or have her make a dozen or more and tile it in the dog’s area of your home. Check out her website at http://www.alexanderart.net. The Cavalier King Charles Spaniel dog breed is a most excellent all-around house pet and companion. He fits right in with families with children and other pets. He doesn’t bark a lot like many other small-breed dogs tend to do. And he is a rather smart little dog. He has a very interesting history as well. As you may have guessed from his name, he has an interesting history with a king of England – King Charles II. The Cavalier King Charles Spaniel also has interesting names when it comes to his coloring. A solid red Cavalier King Charles Spaniel is called Ruby. And a red on white Cavalier King Charles Spaniel is called Blenheim which has an association with the First Duke of Marlborough. For more great information on the Cavalier King Charles Spaniel, visit our Squidoo page at http://www.squidoo.com/cavalier-king-charles-spaniel-dog-breed. Also, a Cavalier King Charles Spaniel figurine is on sale through the month of October at the AnimalFigurineStore.com. The image above is of one of the figurines from that store. As you may have noticed, we like to read books about dogs. 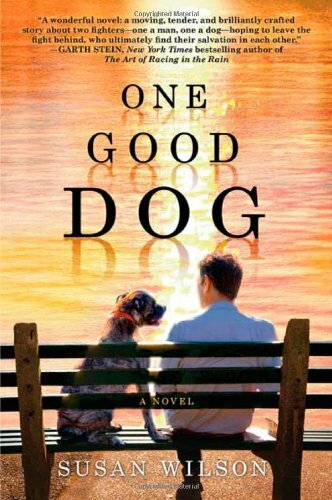 You may have seen several of our book reviews of such dog books as Chicken Soup for the Dog Lover’s Soul, Feisty Fido, and A Dog’s Purpose. We now have an Amazon.com A-Store where you can buy these books. Check out our Dog Lover’s Book Store which is an Amazon.com affiliate. Because it is from Amazon.com, you can be assured that it is a safe and secure site. All of the above books are available as well as some that we have but haven’t read yet and books which are on our wish list but haven’t purchased yet. Feel free to share your opinions on any dog-related books or movies. Rescuing Sprite is a personal true story by Mark R. Levin. Mark tells the reader about how he and his family rescued a great dog. To anyone’s best guess, the dog is a light-colored spaniel mix who the family names Sprite. Mark tells us about the good times he and his family had with Sprite and the great overall happiness that life with Sprite gave them. There were hardships too but it had more to do with Sprite’s health problems than with any issues with Sprite himself. Sprite’s story is both a happy and a sad one. I laughed, I smiled, and I cried. It is obvious that Mark is an animal lover and I applaud him for sharing his story about the joy that his rescued dog has brought him and his family. However, I had a really hard time getting into the book. After reading the first chapter, I almost decided to stop reading it. It was not very well written and was more of a rant-and-gloat which had nothing to do with Sprite at all. By rant, I mean that the author expressed a great deal of anger over things long since passed and issues which most people would have left behind a long time ago. By gloat, I mean that the author bragged about how he saved the life of a neighbor’s dog. Don’t get me wrong. I am glad he saved a dog. But I didn’t buy the book to read a biography. I wanted to know about Sprite. After putting the book aside for a couple of weeks, I decided to give it another chance. I am glad to say that the story gets much better. In fact, I recommend that you avoid most of the first chapter. Start reading the book from the last two sentences of the first chapter, “Goldfish, turtles, and hamsters are pets. Dogs are family.” I couldn’t have said it any better than that. In chapter two, Mark tells the reader more about the family’s first dog, Pepsi. In chapter three, he talks about how he and his family went about rescuing Sprite. Later in the book, the reader learns that Sprite is older than originally thought and that Sprite has some health concerns. Despite these drawbacks, further chapters give the reader more insight as to how Sprite made everything in life more meaningful. Chapters six starts to get emotional as Sprite’s health worsens. And the succeeding chapters tell the reader about Sprite’s last days, his passing on, and how the author and his family dealt with losing their beloved pet. Overall, the story is a good one. The memories the author shares seem a bit unorganized at times. And sometimes he wanders off subject to talk about himself. You won’t find much suspense in this story. And you probably won’t find yourself being drawn into it and led from chapter to chapter. But Rescuing Sprite is still a worthwhile read. Best of all, a portion of the proceeds from the sales of this book are donated to animal shelters. Sometimes dog get into and eat things which are not good for them. It could be your favorite pair of shoes, the trash, or even one of your household plants. While many things may be relatively harmless, there are some things which are downright dangerous to your pet. How do you know which is which? What do you do if you find that your dog has eaten something harmful? Well, we know a perfect website you can visit to find all your answers. Preventing your dog from being poisoned is the first and most important thing you can do. The ASPCA Animal Poison Control Center gives you great tips on how to do this. For example, review their list of harmful substances around the home and be sure that these things are always inaccessible to your pets. Another thing you can do is keep a first aid kit for your pet handy. The ASPCA website has a list of things you should keep in their first aid kit. But even with prevention methods in place, accidents sometimes still happen. If you know what your dog has eaten but you’re not sure whether it is harmful or not, visit the ASPCA website to find out. They have a comprehensive list of foods, plants, and everyday household products which may be harmful to your pet. If the item your dog ate is not listed or if you are not sure what your dog ate, you can call the ASPCA Animal Poison Control Center for some helpful advice. (However, if your dog is exhibiting any abnormal behavior, skip the call to the Animal Poison Control Center and take your dog to the vet immediately.) The Animal Poison Control Center can be reached at 888-426-4435. Please note that there is currently a $65 consultation fee so have your credit card handy along with as much information on what your dog ate and when. If the Animal Poison Control Center has confirmed that your dog ate something potentially harmful, follow their advice and take your dog to the vet as soon as possible. If you confirmed through the website that your dog has eaten something potentially harmful, take your dog to the vet immediately. The website does not outline treatment for poisons. If your vet is not close by and the situation is dire, you may call the Animal Poison Control Center. But if your vet is close, it is best to get your dog to the vet right away rather than call the Animal Poison Control Center first. If you want a pure bred dog but don’t want to rescue one, there is some serious research you should do before purchasing. Getting a dog is a very important and life-changing decision so you will want to make sure that you get the best family pet possible. Just any puppy from any breeder won’t do. You may be purchasing the most adorable dog from a litter, but you may also be purchasing a dog which could cost you thousands of dollars and lots of heartache in the future. This is because there are lots of dog breeders out there who do not properly evaluate for genetic health or temperament issues. They breed dogs to make money and either don’t know or don’t care about such things. To protect yourself from these types of breeders, you need to arm yourself with the right questions and be knowledgeable enough to know when you hear the right answers. And we have found the perfect website for you to begin. Visit http://www.kateconnick.com/library/breeder.html for the most comprehensive list of questions you should ask, the reasons you should ask them, and the most favorable answers which will help you determine who is going to sell you the best quality dog. Some of the questions outlined by this website include, How long has the breeder been involved in this particular breed?, How knowledgeable is the breeder about this particular breed?, Will the breeder tell you about all the positive qualities of the breed as well as the negative?, Are the breeder’s dogs kennel dogs or house pets?, Will the breeder provide you with the names of their veterinarian and several past purchasers to serve as references?, What kind of guarantees does the breeder offer?, Does the breeder expect to sell you a puppy with strings attached?, What does the breeder do to socialize their puppies?, and more. The website also advises you to beware of non-standard deviations, review the premise of where the dogs are bred and raised, and prepare to answer questions and fill out adoption paperwork which any reputable breeder will ask. Following the steps and advice of this website will greatly reduce the chances of you purchasing a dog which may develop health problems or temperament issues. The chance is still there, but it is far less likely because a responsible breeder has taken the time to thoroughly evaluate the dogs before breeding them. You may end up purchasing a more expensive dog, but your future best friend will be worth every penny. If you are looking to purchase a medium or large breed dog, then you need to be concerned about hip dysplasia and other genetic health issues. Many purebred dogs who have been bred by unscrupulous and irresponsible dog breeders have a tendency to develop painful and deadly genetic health conditions. To avoid such types of dog breeders, you need to ask questions and look for breeders who offer proof of certain health certifications. One type of health certification to look for is offered by the Orthopedic Foundation for Animals (OFA). The OFA is a non-profit organization who is dedicated “to the advancement of canine health”. They collect and evaluate information of information submitted to them by breeders who want to promote quality breeds. Ask the breeder you are considering doing business with if they have an OFA, CHIC or registration number. Then visit the OFA website at http://www.offa.org/ and verify the information. The American Eskimo dog, also known as and Eskie or Spitz, is an American dog breed with German descent. He is bred from German spitz breeds such as the Pomeranian, Samoyed, and Keeshond. In fact, the American Eskimo dog breed was once called the American Spitz. His name was changed to the American Eskimo dog after World War I in order to remove any negative association that the spitz name carried in regards to the Germans. The American Eskimo dog breed is in the Non-Sporting Group of the American Kennel Club. He was originally bred as a watchdog and farm worker. He later gained in popularity due to his spectacular performances at the circus. The liveliness and intelligence of the American Eskimo dog made him relatively easy to train and his adorable tricks and cute face made him fun to watch. Of the many spitz-breed dogs, the American Eskimo dog tends to be the most responsive to training and agreeable in nature. However, he can still be independent and stubborn at times. Using primarily positively reinforced training will bring out his more favorable attributes. Negative reinforcement, on the other hand, is likely to make the American Eskimo’s nature even more obstinate. The American Eskimo dog breed is a playful dog and is fairly affectionate. He is generally good with all human members of the family, including children, but may not get along well with other pets and is normally wary of strangers. The American Eskimo dog needs moderate daily exercise. If he is the larger variety of Eskie, he will be great on a jog or long walks. The smaller variety also needs daily walks, but his walks do not need to be as long. The American Eskimo dog breed is white in color, or sometimes a very light cream. He has black eye rims, a black nose, and black lips. Like his Pomeranian cousin, the ears of the American Eskimo dog breed are small and triangular and stand erect. His tail is fluffy and carried over his back. The American Eskimo dog breed has straight medium-length hair. He needs to be brushed twice a week – or more during shedding season. While shedding may be an issue, his double-coat makes him an ideal dog in cold-weather regions. The American Eskimo dog breed can be found in three sizes as recognized by the American Kennel Club. The larger size is the standard size and he should weigh 20-40 pounds and stand 15-19 inches tall. The miniature size should weigh 11-20 pounds and stand 12-15 inches tall. And the smallest size, called the toy size, should weigh only 6-10 pounds and stand 9-12 inches tall. Like most purebred dogs, the American Eskimo dog breed has a genetic tendency to specific health issues. If you are going to purchase an American Eskimo dog breed, research your breeders thoroughly. Look for a history of patellar luxation, hip dysplasia, and progressive retinal atrophy (PRA). Patellar luxation and hip dysplasia are skeletal diseases which may not be evident in a young pup but can develop into something more serious and painful as the dog gets older. Patellar luxation affects the dog’s knee cap whereas hip dysplasia affects the hips. Progressive Retinal Atrophy (PRA) is where the retina of the dog’s eye deteriorates. Depending on the rate of deterioration, a dog with PRA could end up totally blind even at a young age. Purchasing an American Eskimo dog breed without doing thorough research on these hereditary issues not only leads to potential heart-ache, but it also encourages these unscrupulous dog breeders to breed more unhealthy dogs. The American Eskimo dog breed is a fun-loving dog with a playful and bright personality. If you are looking for a dog who is both affectionate and entertaining, then the American Eskimo dog may be for you. Be ready to be a firm yet positive pack leader in order to avoid any behavior problems such as aggression, excessive barking, or otherwise willful behavior. Take the time to train your Eskie basic commands as well as cute tricks and you are on your way to having a great dog. Before you read the solution, check out the original puzzle on the previous post. A = I, B = Y, C= E, D = M, E = P, F = B, G = V, H = Z, I = R, J = G, K = A, L = W, M = T, N = K, O = F, P = X, Q = U, R = C, S = J, T = O, U = S, V = D, W = H, X = N, Y = Q, Z = L.
11. What do all these dog breeds have in common? All these dog breeds come in the color black. Some of the dog breeds listed are exclusively black. It has been a while since we did a dog puzzle. We love puzzles and we hope you do to. Here is another encrypted puzzle on dog breeds. Decode the list below to reveal several dog breeds. Each letter in the code represents another letter of the alphabet. For example, let’s say that XYYGKA can be decoded to spell poodle. Therefore, X equals the letter P, Y = O, G = D, etc. This is an example only. The list below has its own code. By figuring out at least one of the dog breeds below, you can decipher the others using the same code. For a hint in figuring out the code, see the very end of this post. See the solution posted in a few days. 11. Bonus – What do all these dog breeds have in common?